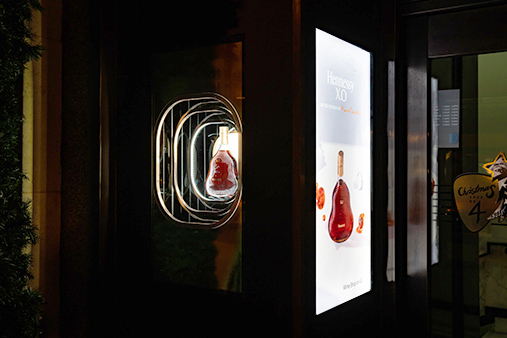 Prop Studios produced and installed a ‘Glam Rock’ inspired window design for the iconic Hennessy. 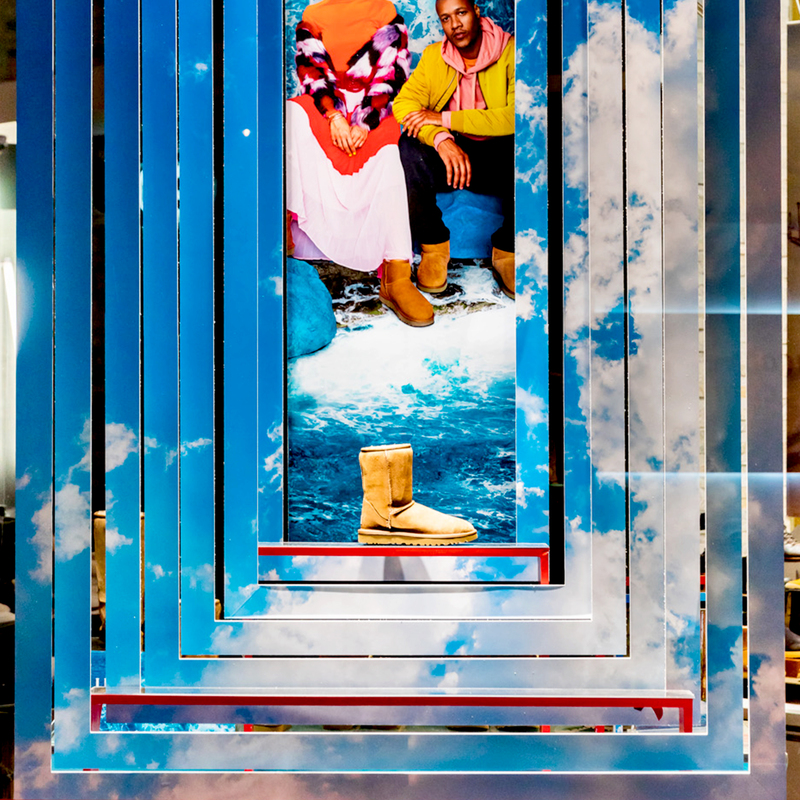 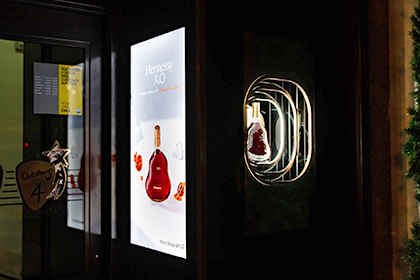 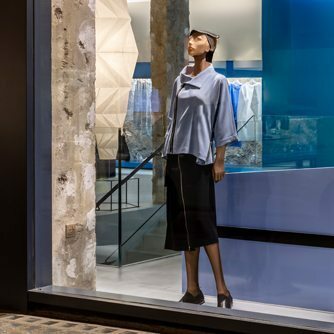 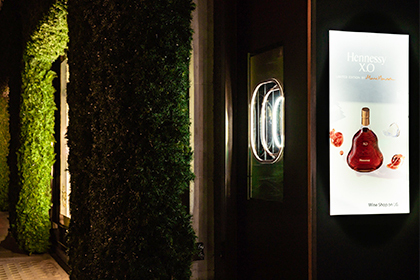 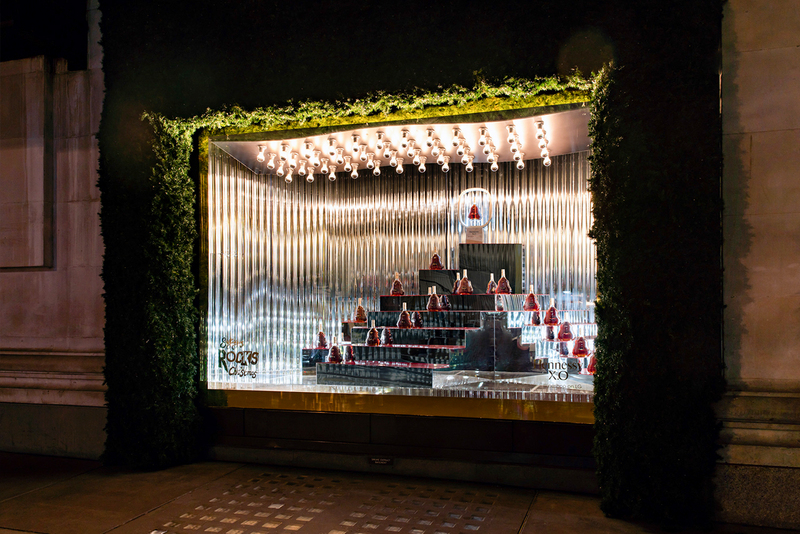 Located at Selfridges Oxford Street, the window unveiled the Hennessy Xo limited edition by Marc Newson. 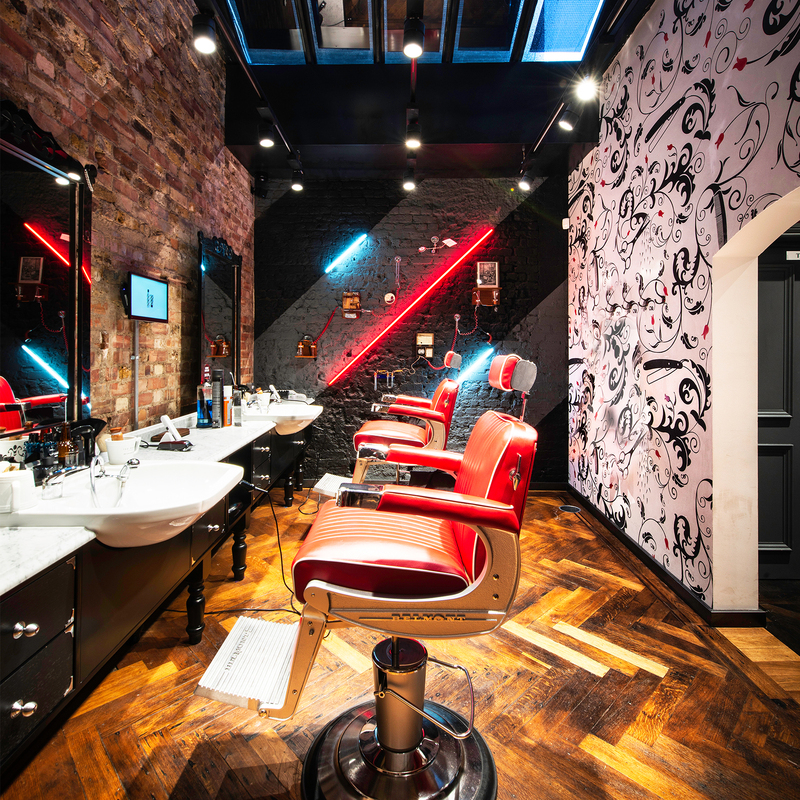 A mixture of high shine and metallic materiality in a nod to this years ‘Glam Rock’ theme. 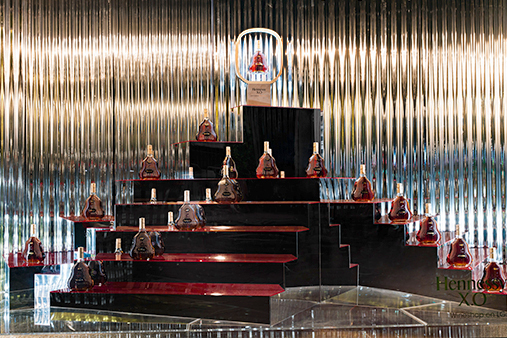 The design direction was a mixture of high shine and metallic materiality in a nod to this years ‘Glam Rock’ theme. 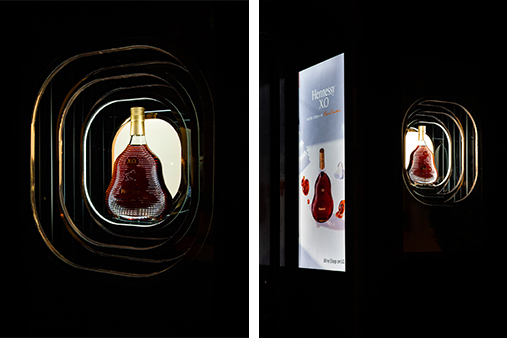 The window design amplifies the decanters distinctive shape and contents, combining mirrored polycarbonate curtains and transparent plexi flooring. 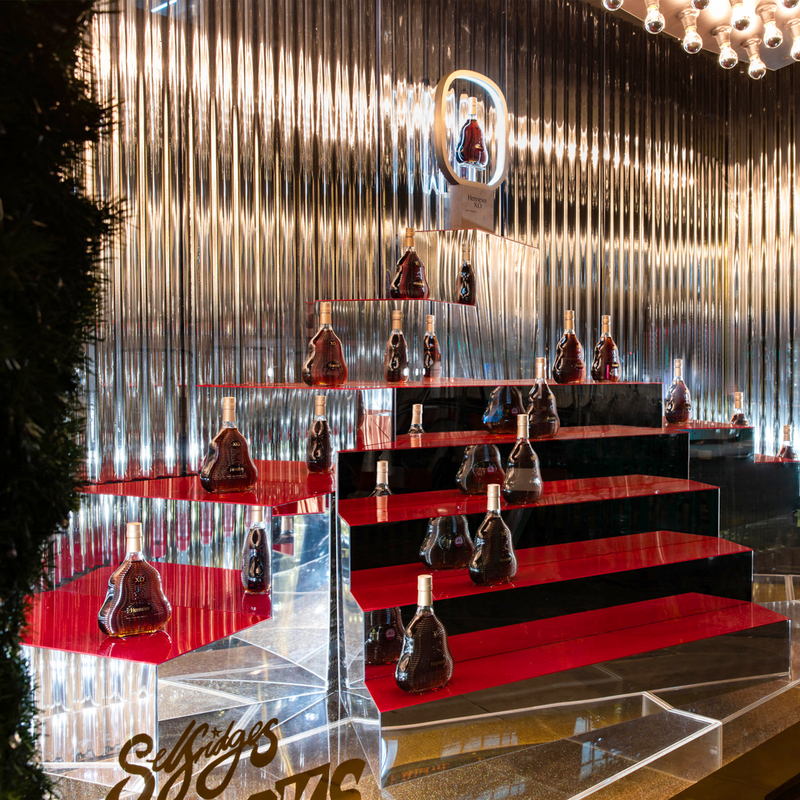 The stairs were laid with silver, glossy laminate and coated with the Hennessy red colour. 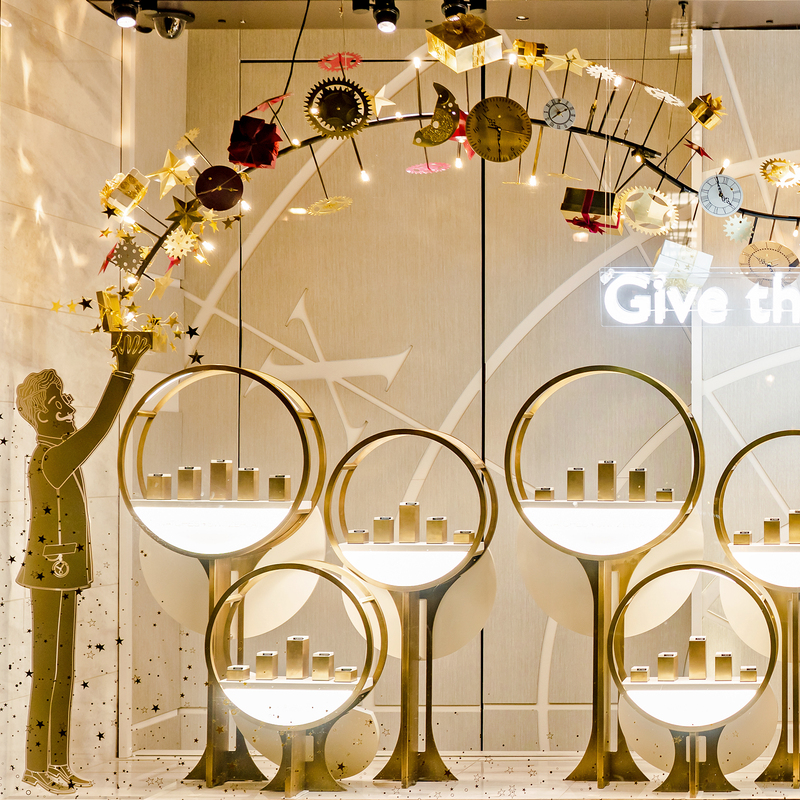 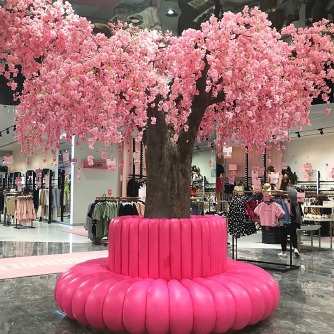 To achieve maximum impact, mirrored light bulbs were installed above the display to replicate stage lighting and set the ambiance. 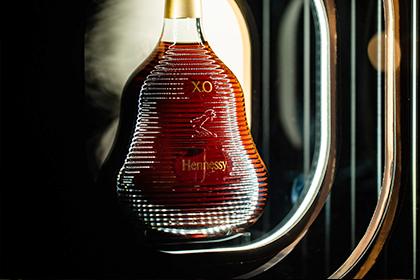 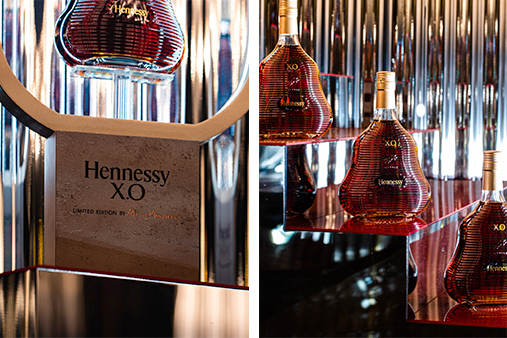 The design celebrates the Hennessy Xo ability to transcend and continue to exist in a very contemporary way.